I’m not going to divide or categorise this list in any particular way. This is a list of female authors that I’ve enjoyed reading over the years, whether as a teenager or as an adult, across genres. This also isn’t meant to be a comprehensive list. If you want comprehensive, you can have a look at my reading lists for 2012 and 2013, and check out my book reviews for my verdicts. 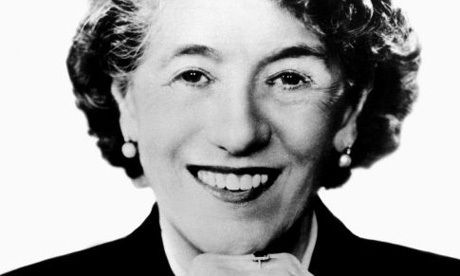 The first female author that I distinctly remember reading, Enid Blyton’s books for kids, such as Noddy, Secret Seven, The Famous Five, The Faraway Tree, and many others were part of my earliest formative reading. They instilled in me a hunger and passion for books that has brought me to where I am. It doesn’t matter that her books are now dated and do not reflect modern society, culture and values, but that’s not the point. Without Enid Blyton, I very much doubt that I would have become as voracious a reader as I did. Her mystery novels like The Famous Five and Secret Seven let me experience through words my wildest dreams as a kid. Her wonder/magic novels like The Faraway Tree let me experience a completely different kind of fairytale-style fantasies that still reminded me of classics like Thumbelina. Where Enid Blyton set me on the path, K. A. Applegate guided me on it to new destinations. 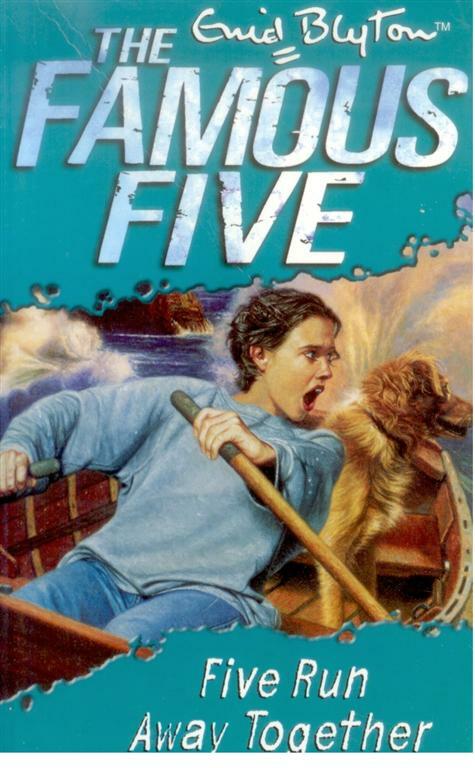 Her Animorphs series introduced me to characters that I still remember very fondly, with Tobias being the one character in fiction that I’ve always identified with the most. It was in junior high that my interest in books went through a resurgence, a time when I devoured books like crazy. 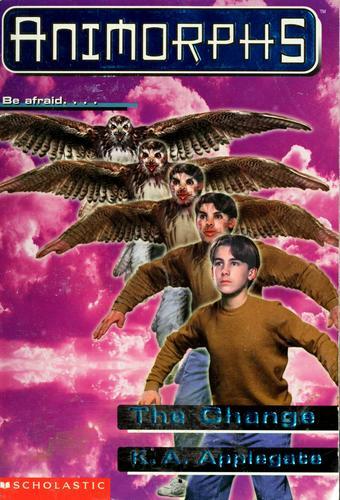 The Animorphs novels were my absolute passion at the time and I couldn’t get enough of the urban adventures of these kids. These are the kinds of books that will stay with for a long, long time and are books that I would not hesitate to share with my future children, if any! If there’s one regret I have with respect to her work, it is that I’ve never gotten around to reading the Animorphs in full. There are something like 60+ novels in the entire series, of which I’ve read perhaps 40 or so. Perhaps that should be a reading challenge for later this year, or even next year? We shall see. I first heard about Jean Johnson last year on an episode of SF Signal’s (Hugo Award-winning) podcast hosted by friend and author Patrick Hester. 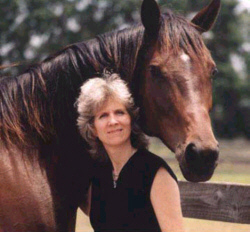 It was an interview with Jean Johnson, primarily a romance novelist who had also branched out into military science fiction a few years back. When Jean began to describe the premise of her MSF series, Theirs Not To Reason Why, I knew I had to get the book. The premise sounded fantastic, the protagonist Ia sounded even more amazing, and so I was dead set. 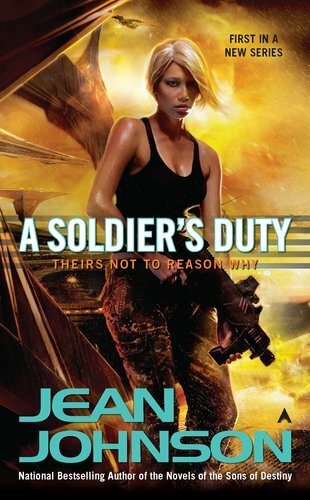 Having read both the novels in the series so far, A Soldier’s Duty and An Officer’s Duty, I have to say that Jean is definitely a master of her craft. I’ve rarely read military SF written so damn well. As a friend remarked to me yesterday, what’s even more surprising is that these books follow on from Jean’s romance novels. Its not a connection people can make without evidence, that someonw who writes romance novels can also write military SF that is so gripping. And it just shows how much of a difference skill and determination and research can make when writing SFF. The genre doesn’t matter. At the moment, the third novel in the series, Hellfire, is being released soon and I’m waiting with bated breath for it. Fun times ahead! 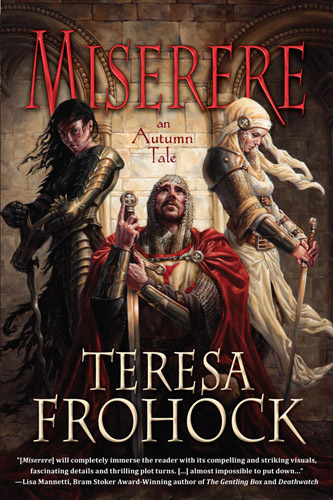 At a time when I was branching out of reading just Warhammer Fantasy and Warhammer 40,000 novels, Teresa Frohock’s debut Miserere: An Autumn’s Tale was one of the first that I read. The transition was easy in part because Miserere happens to be a dark fantasy, and that was one of the biggest draws that I had to the novel. The book itself is superbly-written and even offers up some religious commentary, which I really liked. If you pick up Miserere, then be prepared to read something that can match the likes of Brandon Sanderson and Paul S. Kemp while also offering the simplicity of Michael J. Sullivan. Why do I offer that comparison? Because this is a list meant primarily for those who read fiction written by men. 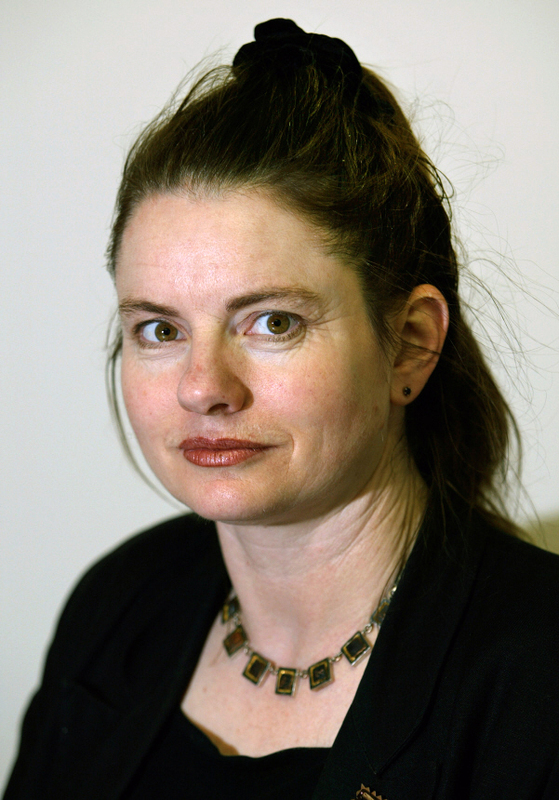 If I had to compare Teresa to her female contemporaries, then I would say that her work matches that of Elspeth Cooper and Helen Lowe and Lou Morgan, all three of whom I feature in this list. Its entirely possible that if I had not met Sarah and, consequently, not joined the Bolthole, I would not have the authorial aspirations that I do today. 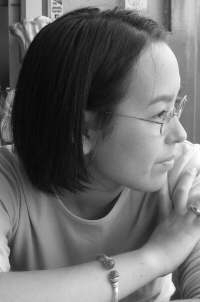 She also happens to be the first author I happened to befriend, and through her work, I’ve come to understand that writing is as much a matter of determination than just getting lucky. Why is that? Because she makes her writing look effortlessly easy and yet she has been working at it for a long time, and has honed her craft through fan-fiction. 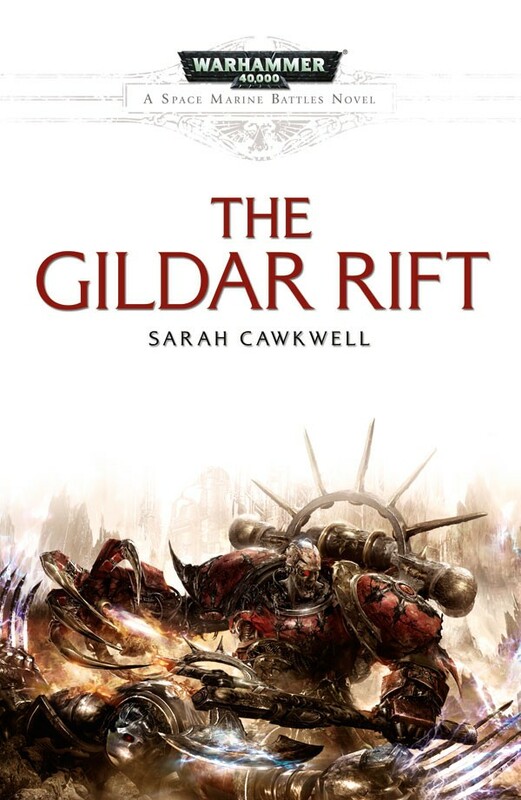 Her (published) 40k short stories featuring the Silver Skulls Space Marines, and her full-length novels for both 40k and Warhammer Fantasy are both fantastically easy to read and parse. Pick up any of her works for Black Library and you will not be disappointed. 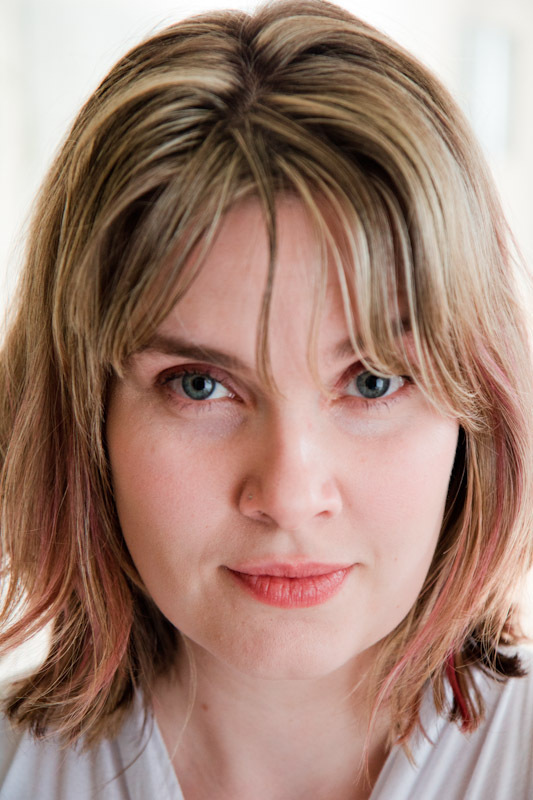 Her entry into both Warhammer universes has also marked a big shift in the publisher’s outward image (she happens to be their first female author with a published novel), and with her in the front ranks, it is exciting times ahead for Black Library. 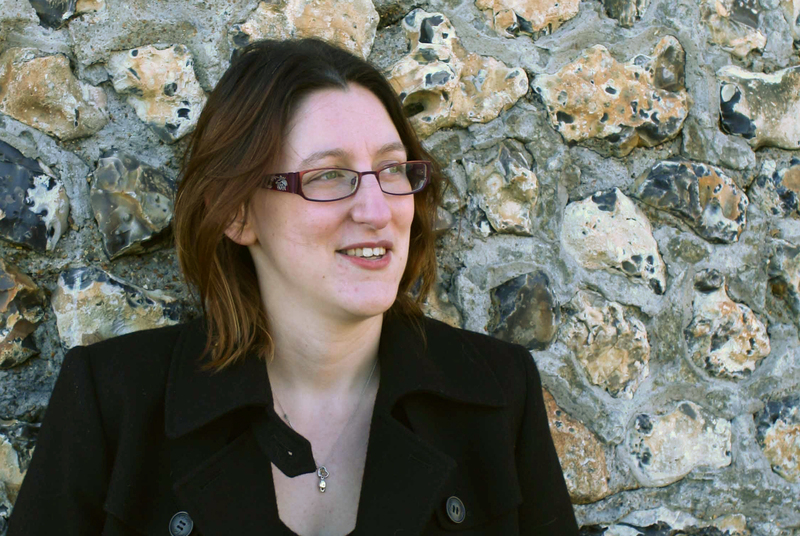 And Sarah has also gotten a great start at some original fiction, with her first original short story The Ballad of Gilrain having been published last year in the Tales of the Nun & Dragon anthology from Fox Spirit, and a novella, Blood Bound, coming out soon. I’m not one to knock on what we today call English Literature. After all, I took a GCSE level high school course on the topic and scored a B on it, but that’s beside the point! English Literature isn’t exactly my thing, although I enjoyed reading some of these books and plays, such as some Shakespeare and Charlotte Bronte and Elizabeth Gaskell (covered later down this list). 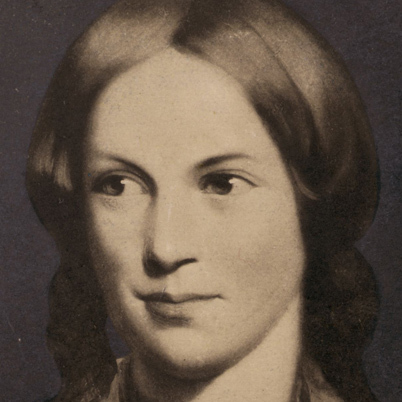 Jane Eyre, among all the English Literature books I’ve read, remains a firm favourite. Its been years since I last read it, but just like anything by Blyton or Applegate, it is still a story I remember fondly. Its also one of those books that I’ve read for both pleasure and for school-work, which I have to admit, is pretty rare these days. How many people actually read English Literature-classified books these days outside of their required courses in school? Perhaps my love for “dark” fiction is a result of the bleakness that is present throughout Jane Eyre. 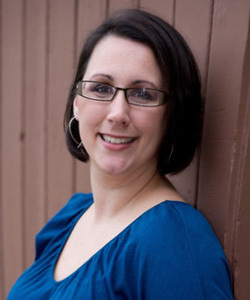 Stephanie is a recent debut author I’ve had the pleasure of reading just last month. 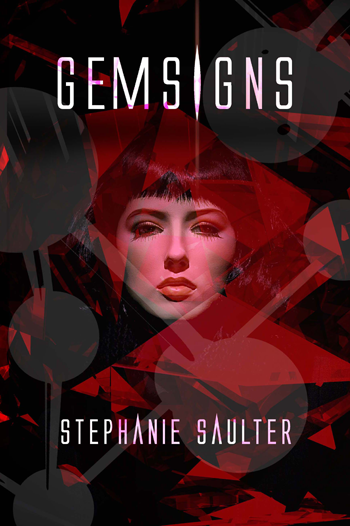 Her novel Gemsigns was on my “51 Most Anticipated Releases of 2013” and it was a pleasure to read a book that exceeded my expectations. How often does a reader and/or a reviewer get to say that, especially for a debut effort? In my experience and capacity as a reviewer for just a little over 20-month, it doesn’t happen as often as we’d all like. Gemsigns offers some great social commentary in the novel, in a future where overexposure to social media and computer hyperconnectivity developed into a debilitating disease and necessitated every human being genetically modified to overcome it. And this in turn led to the further creation of a subspecies of Humans whose only purpose is to do all the menial work we don’t want to do ourselves. Its a fantastic setting. 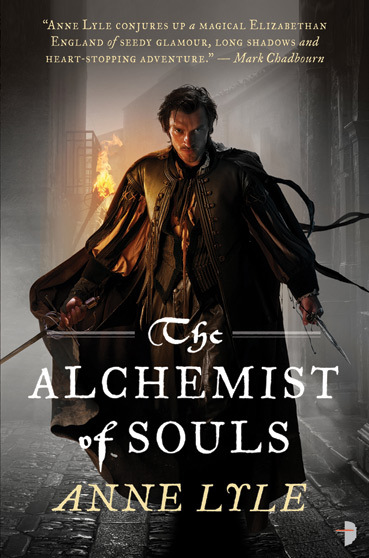 I read Anne’s debut novel, Alchemist of Souls, at roughly the same time as I did Teresa’s Miserere. 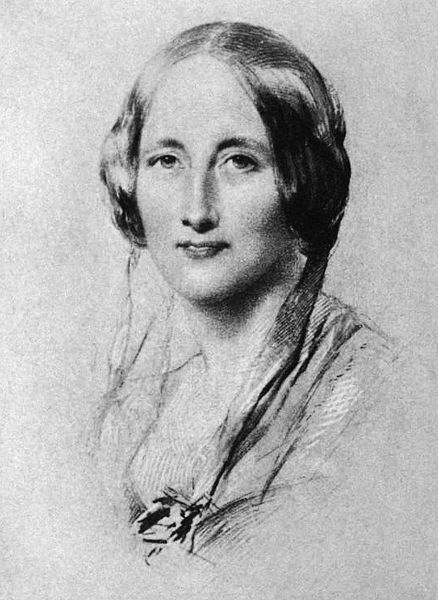 But where Teresa’s novel was rooted in a genre that was a favourite of mine, Anne’s novel was all historical fiction where discoverers to the New World have found a race of magic-users, the skraylings, who are a major power across the pond. It was my first real taste of historical fiction of that era, and I have to say that I was completely enthralled. The novel also led to me developing quite a taste for more historical fiction, although I haven’t yet had the opportunity to real more in the genre. Nevertheless, Alchemist of Souls and its sequel Merchant of Dreams have certainly helped in me stepping out of that comfort zone I talked about. Reading Aliette’s various short stories (the ones I read were all inspired from Vietnamese mythology and folk tales and culture, and of those Immersion is one of the absolute best) and novels (Aztec noir historical fantasy) was an eye-opener. For the first time, I read something other than the typical Euro-medieval fantasy, or the typical white male-dominated far future narrative. And they were GOOD. I honestly cannot recommend her work enough. 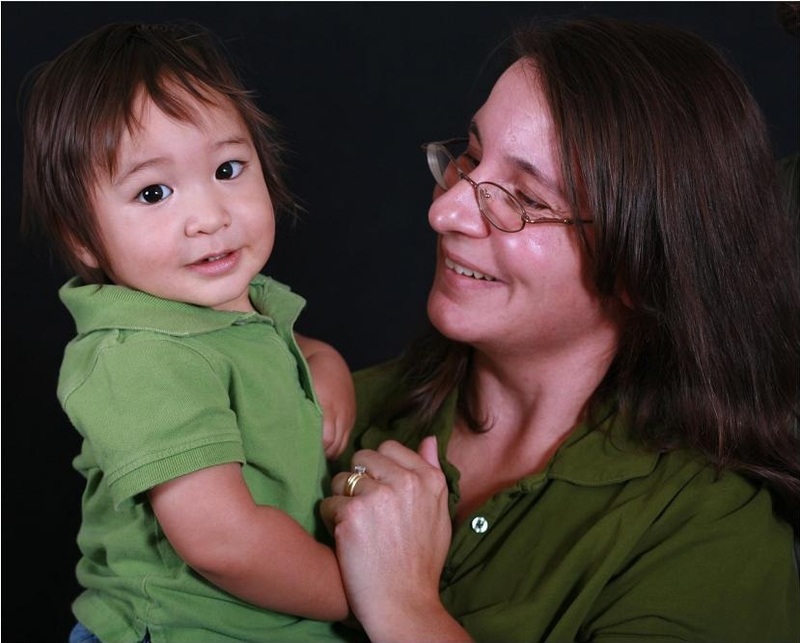 With her French-Vietnamese heritage, Aliette brings something incredibly refreshing to SFF and she shows that there is ample room in either genre on both meta and micro levels for things that are completely different. As someone who grew up in India but enjoys all the white male-centric SFF and yet is working on stories inspired by Indian culture and mythology, Aliette’s work is a benchmark of excellence and something to aspire to. It is absolutely no secret that her work has garnered a lot of attention, both in terms of awards and nominations, and as such it is really heartening to see that there is a strong market of readers out there who want to read something that is completely culturally different. If you are not reading her work, you sure are missing out. 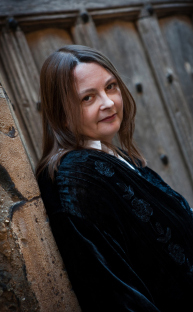 Helen came to my attention last year when her debut novel, Heir of Night, won the David Gemmell Morningstar award, determined by a readers favourite poll structure. 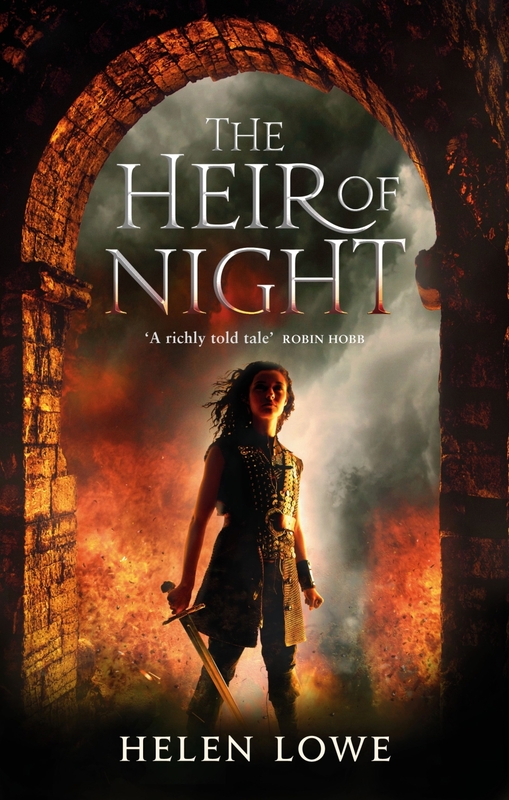 As with many other books I read last year based on the buzz, Heir of Night got fast-tracked up my reading pile and by the time I was done, it left me stunned. The world-building was amazing, the whole Norse mythology vibe extremely appealing and on top of that, an element of the world of Haarth reminded me very strongly of what Raymond E. Feist did in his Riftwar trilogy. And since I happen to love that trilogy and consider Raymond E. Feist one of the greats of SFF, I loved Heir of NIght too. I just finished reading the sequel, Gathering of the Lost, last week and that too is utterly fantastic, quite a few notches above what was already an excellent piece of fiction. 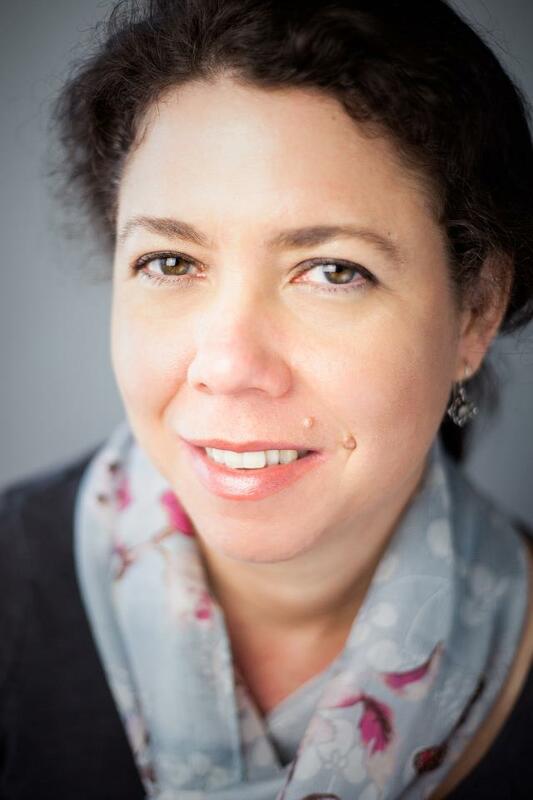 Helen for me is a writer who is able to grasp the nuances of character and plot really well, writing a really intricate story that reveals itself in measured bits and stuns you with how everything quickly falls together. 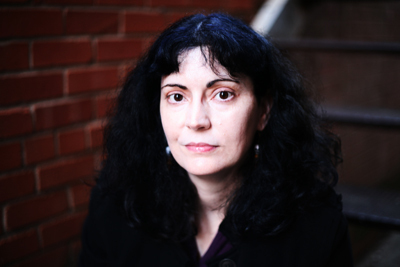 For me, Helen Lowe is currently one of the absolute best authors in SFF. 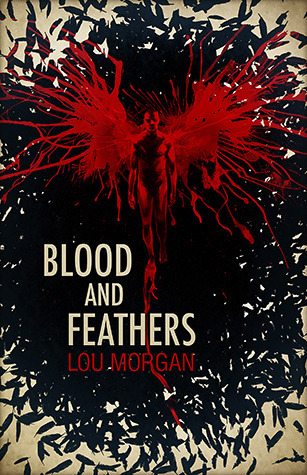 Lou Morgan’s debut novel from Solaris Books last year, Blood and Feathers, represents another case of me stepping outside of my comfort zone. Earlier in the year I’d read Chris F. Holm’s debut, The Dead Harvest, in which I was introduced to urban fantasy with an angels/demons bent. Lou’s novel is very much like that although the specifics of the setting are completely different. However, both novels remind me of Phillip Pullman’s His Dark Materials novels, which are also urban fantasy of a religious bent with angels and demons, but are also secondary world fantasies. For me, that created an instant connect and the rest is history. And this has quickly become a favourite subgenre of mine, probably something to do with the fact that I enjoyed the Keanu Reeves-starrer Constantine, and the Paul Bettany-starrer Legion, and so on and on. Reading is different than watching, but at the same time, I’m really glad that I took the plunge and experimented with something that was not high fantasy or far future space opera. Its always a good feeling to experiment, more so when the experiment is a success. I’ll say that I’m quite looking forward to the sequel Rebellion. Even though I love shows like Buffy and Angel, and absolutely love movies like Underworld, I’m not all that much a fan of Vampires and Werewolves. There’s something about that genre of entertainment/fiction that I prefer to watch it and not read it. That is, until Amanda Carlson’s debut Full Blooded came along and changed my mind. 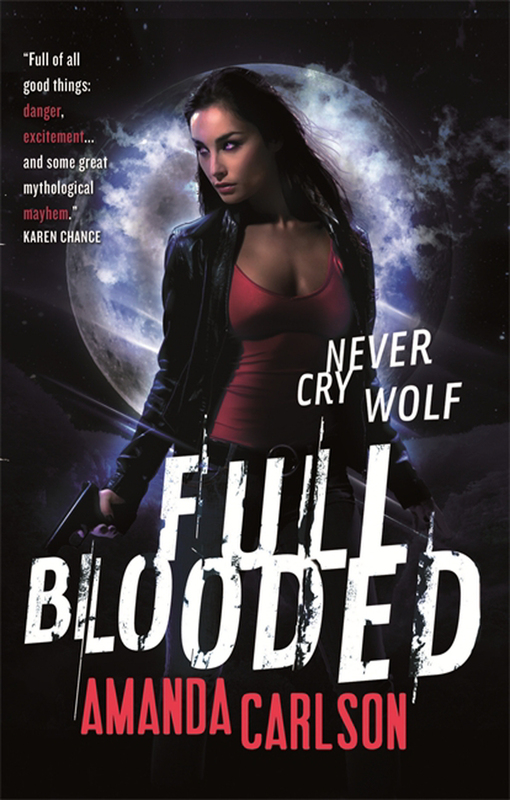 Full Blooded and its sequel Hot Blooded have contributed greatly to getting me to appreciate various genres and subgenres of fiction (although I am still firmly against that which is straight up, full-on romance, can’t get behind that at all). I’ve read one or two “shifter” urban fantasy novels other than Amanda’s own, but nothing has really clicked so far. I’m keen to read more, but the thing is that there is too much in other genres that I really do want to read that its bit of an up-hill climb. None of which clouds over the fact that before reading Amanda’s novels I thought “shifter” urban fantasy novels were just not to my tastes and wouldn’t appeal to me. How wrong I was. 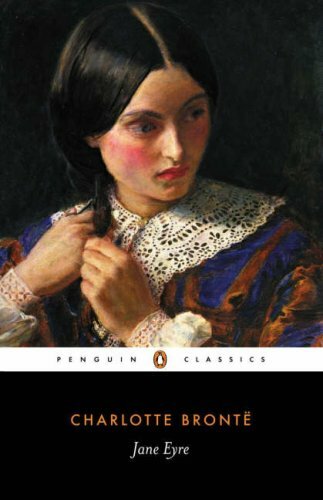 Moving back to fiction of the English Literature variety, I remember reading Miss Gaskell’s North & South in junior year of high school and remember that I was as impressed with it as I was with Miss Bronte’s Jane Eyre. Really, there seems to be something about that particular era in British history that I find really compelling, and the human interest stories like the two I’ve already mentioned, and others like Oliver Twist, I find I cannot put down. 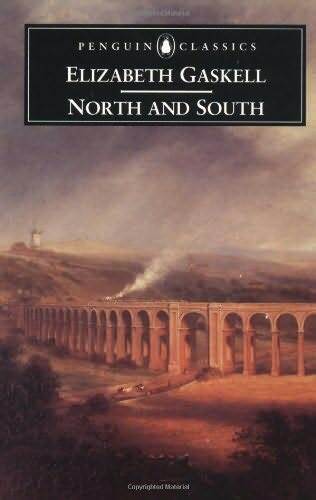 North & South, and others of its ilk are just so different from the usual type of books I read, and I find them quite refreshing. Although I have to say that its been years since I’ve read something in the particular genre, so the memories are a bit hazy. Regardless, I won’t turn down a chance to read something else by Miss Gaskell, should the opportunity arise. And as I write this, I realise that now I really do want to go back and read North & South and see how it matches up. Do you love Greek mythology? Do you love space opera? 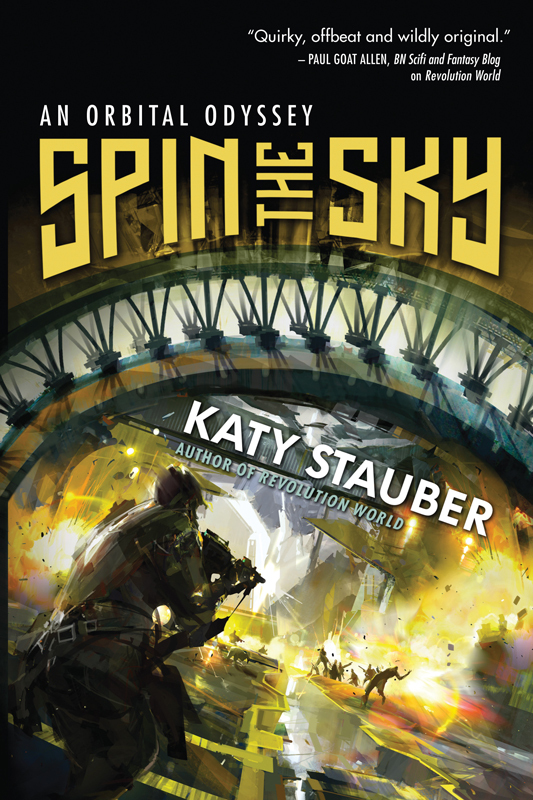 Then you should absolutely be reading Katy’s Spin The Sky. That should be the back-of-the-book blurb for the novel. For someone like me, with a long-time interest in Greek mythology and as someone who was briefly a Classics minor in college, that’s a perfect description of the book, and I would pick it up based on just that alone. Which I did anyway! Katy has written several other novels, but I’ve so far read only this one. I’m keen to read more however, and this is the perfect year to do that as well, given all the various challenges I’ve been setting myself. I found Katy’s writing in Spin The Sky to be pretty damn good, and I’d certainly recommend it. The novel also represents the kind of “different and quirky” fiction that Night Shade Books published and became known for in the last few years. Spin The Sky plays up to their strength in every regard, and Katy was a good fit for them. All I’ll say is that a book makes my best of the month lists, it comes highly recommended from me. At a time when I was discovering Forgotten Realms fiction through the War of the Spider Queen series and Paul S. Kemp’s Erevis Cale Trilogy, I also came across Marcy Rockwell’s second Shard Axe novel for the DDO: Eberron setting, Skein of Shadows. Having no prior experience with Dungeons & Dragons Online, I was unsure how the book would turnout for me, and whether or not I’d be able to follow along with the story since this was a sequel. 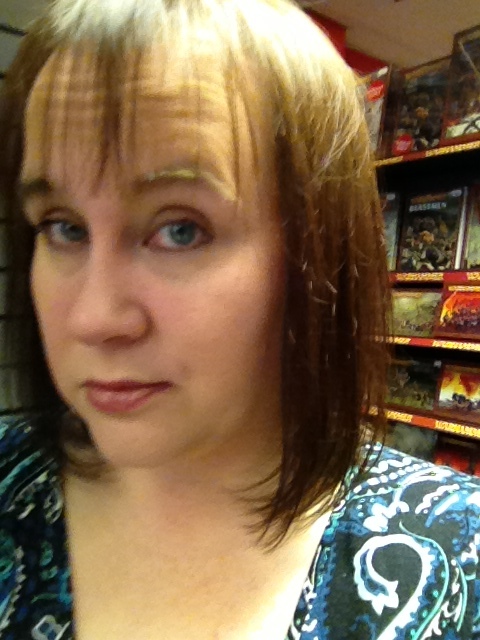 But Marcy made it all really easy, and even got me to eventually purchase some other Eberron novels. That’s a good thing right? Its a great one in my book. Its really exciting to see female authors in tie-in fiction, especially for something that is traditionally considered to be a “dudes” thing. Authors like Sarah (as above), Marcy and Erin (as below) are able to match any of the other big-name male authors writing in these settings and they prove that gender doesn’t matter when it comes to writing fiction, what matters is the skill. And these ladies are all highly talented individuals. 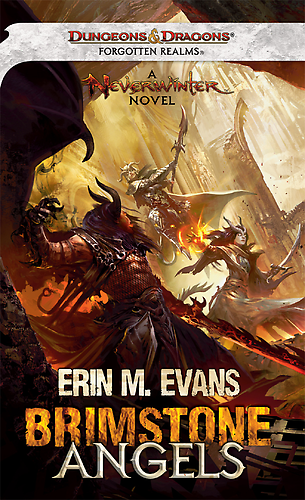 Given that I was on quite a bit of Forgotten Realms kick last year, I culminated it all with reading Erin’s first full-length novel Brimstone Angels, which is about twin teenage tieflings Havilar and Farideh. John Rogers’ excellent Dungeons & Dragons: Shadowplague comic introduced me to tieflings, and I’d always wanted to read more about them. I find them to be a really fascinating fantasy race. And Erin’s novel, and its sequel Lesser Evils, fulfilled that interest really well. As part of my overall desire to read more women authors last year, I have to say that ending 2012 with Brimstone Angels was a highlight of the year, and so was beginning 2013 with Lesser Evils. Erin’s characters are fantastic, her world-building is fantastic, her plots her fantastic. Basically, everything in her novels is fantastic. 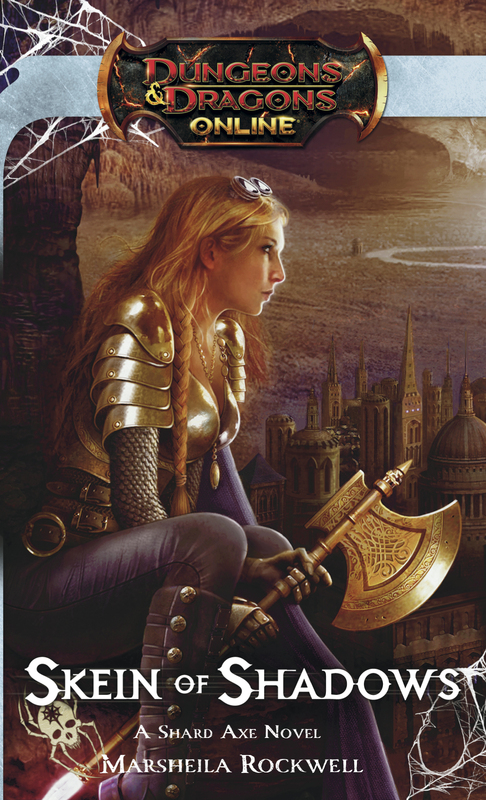 Goes without saying, but I’m super-excited for her next novel, The Adversary which is part of the next big Forgotten Realms event, The Sundering, and continues the madcap adventures of Havilar and Farideh, two of my favourite female characters in fiction. Martha is an author I’ve wanted to read for a long, long time, especially her Books of the Raksura series, which have some of the most beautiful fantasy covers. 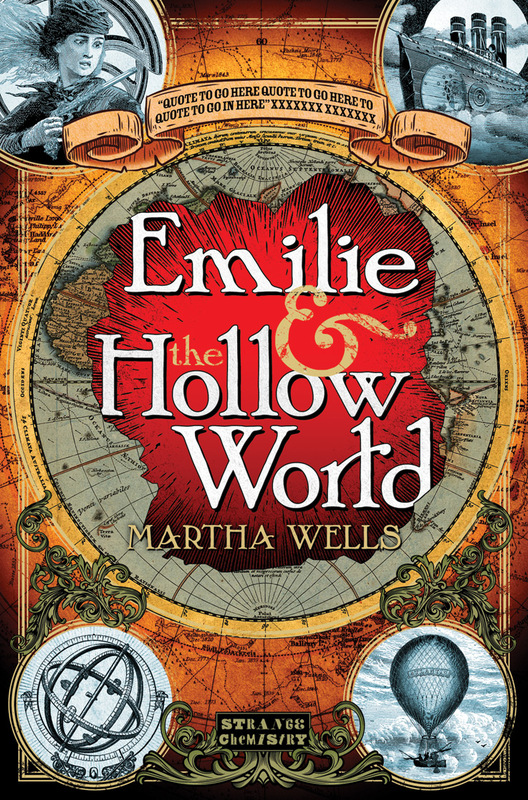 I got a chance to read her Young Adult novel Emilie & The Hollow World from Strange Chemistry a few months ago, and that was quite fantastic. Very reminiscent of Jules Verne’s various SF books, even though it is more of a science fantasy. Its one of those novels that I call “wonder-magic” novels. Her stand-alone fantasy Death of the Necromancer is also on my reading list for the year. Most of the novels I’ve been reading of late are either first novels in a series or sequels, so a stand-alone fantasy should prove to be unique enough. Stand-alone novels are not all that common today, in my experience, and that alone has a lot of novelty for me. We shall see! There’s urban fantasy with vampires and werewolves and other “shifters”. There’s urban fantasy with angels and demons. And then there’s urban fantasy with the more exotic fae and faeries. In my ongoing drive to read more in the urban fantasy genre (I’m hooked well and good now! 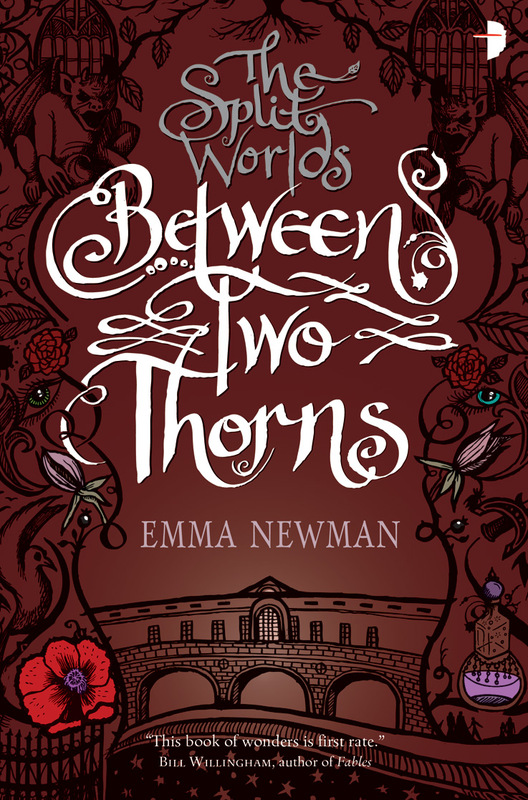 ), Emma Newman’s Between Two Thorns is another milestone. It also happens to be one of the cheekiest novels I’ve read in the last 2 years. Delightful fun is how I would describe her writing, very much the opposite of the “grim and gritty” I tend to read usually. The occasional light-hearted novel is good for the soul. I have the sequel Any Other Name waiting to be read (actually waiting on a print copy which should be arriving soon! ), and I’m really, really looking forward to it. Emma is also a podcaster and a voice-actor, which I find incredibly exciting. Plus she has a lovely voice. That last fact shouldn’t really factor in your decision to read her work, so consider it more of a big bonus. Definitely follow her podcast, Tea & Jeopardy! And definitely read her work! If you’ve ever wanted to read an urban fantasy that strongly evokes the vibe of a superhero comic, then Julianna Scott’s debut The Holders is a must-read. Julianna’s world is just as complex as that of any superhero comic, or any of the big-name SFF authors like the ones I’ve already mentioned up top. And yet, she has an exciting and unique voice of her own that is quite compelling. 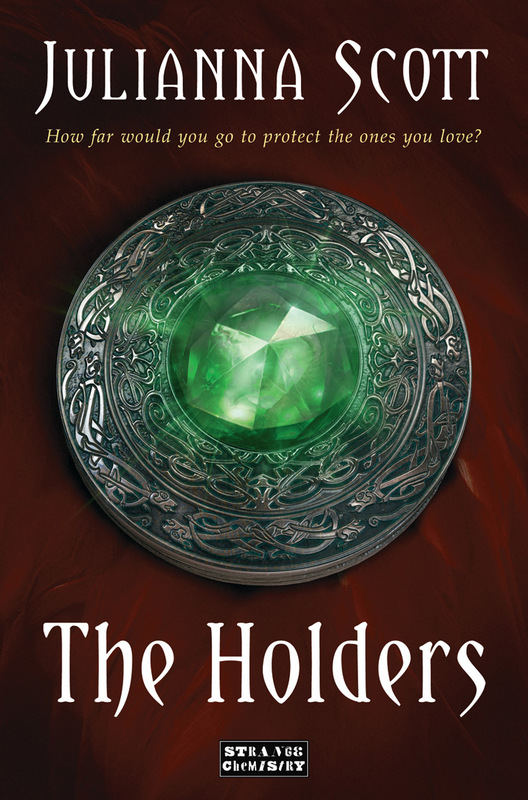 To make things even more exciting, The Holders is an urban fantasy with an Irish mythological bent. What’s not to like? And Julianna’s characters are quite memorable as well, in the same way that characters from J. K. Rowling’s Harry Potter novels are memorable. In short, Julianna is just as wonderful an author as any in SFF right now. And she is part of the first wave of titles from Strange Chemistry, which is Angry Robot’s young adult imprint and was launched last year in Fall. 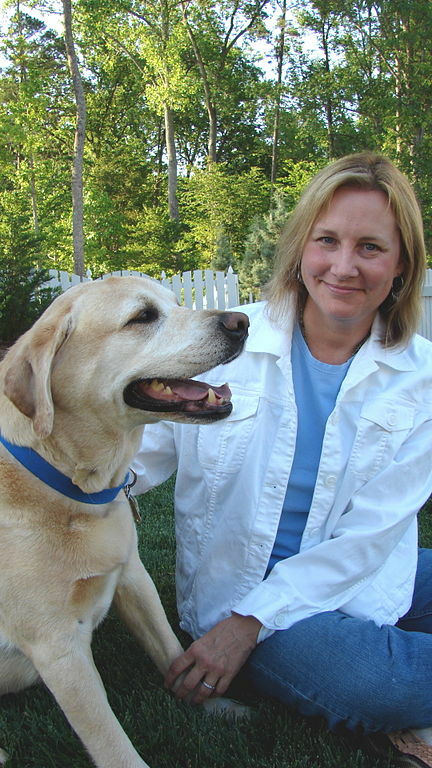 Kate is one of the most prolific authors I know of, with several multi-volume series in both science fiction and fantasy to her name. She’s also, like Aliette de Bodard, someone who puts a lot of thought into her fiction, figuring out all sorts of different angles to make things fit together, even extrapolating how minute changes can go on to result in larger consequences. 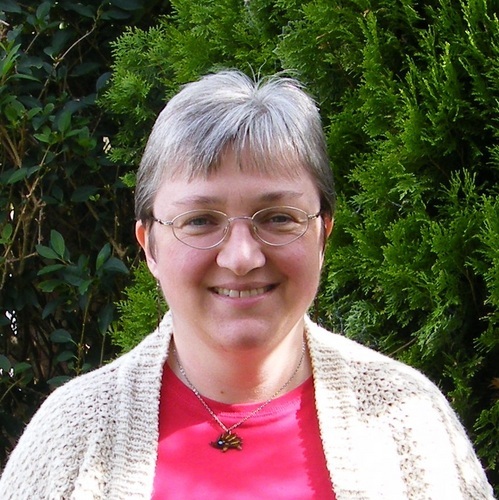 I have a guest post going up next week from her which shows how she created the alternate European setting for her Spiritwalker trilogy. 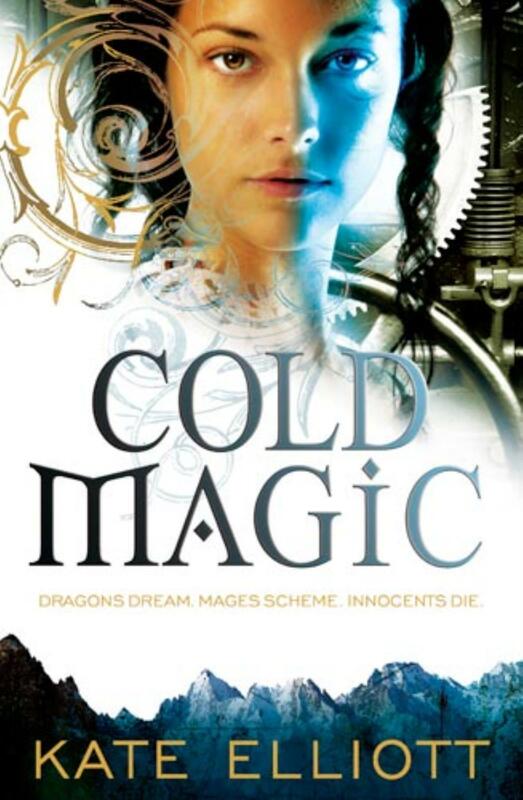 I read the first novel in the trilogy, Cold Magic, a few months ago, and I was very impressed with her character work, and the details of her setting, especially in terms of how the Europe of the trilogy is so similar and yet so different from the real world Europe. Great dichotomy there. I’ll be reading the second novel, Cold Fire, later this month and the concluding volume Cold Steel next month, so looking forward to all that. At the time that I was reading J. R. Tolkien, Raymond E. Feist, Isaac Asimov, Frank Herbert, Arthur C. Clarke and other notables of SFF, I was also reading the Dragonlance Chronicles trilogy by Margaret Weis and Tracy Hickman. Fun fact: I didn’t know until about 5 years later that Tracy Hickman was a male author! Anyway, getting back to Dragonlance, I breezed through those novels one after the other. A few months later I went back and re-read all three. By the time I graduated high school, I’d read the trilogy about five times, and at least twice since then. That’s the kind of effect that those books had on me. And that fascination is not limited to just the Dragonlance Chronicles trilogy, but several of the other books that came after it, like the Legends and War of Souls trilogies, and the Raistlin Chronicles duology. These booksa re all straight up mainstream epic fantasy with knights and warriors and magicians and dragons and dwarves and elves of fifty kinds and so on, and I love these books. As with Tolkien and Feist, these books cemented my love for the fantasy genre, particularly epic fantasy. 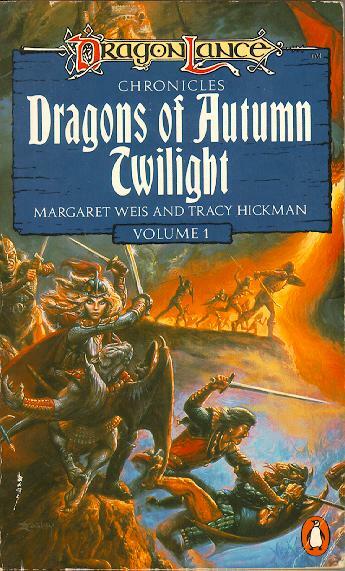 Given how influential Dragonlance has proved over the years, with all its related fiction and gaming merchandise and what not, Margaret Weis (and Tracy Hickman I should add) is every bit as much a pillar of SFF as any of the gents I’ve already mentioned. 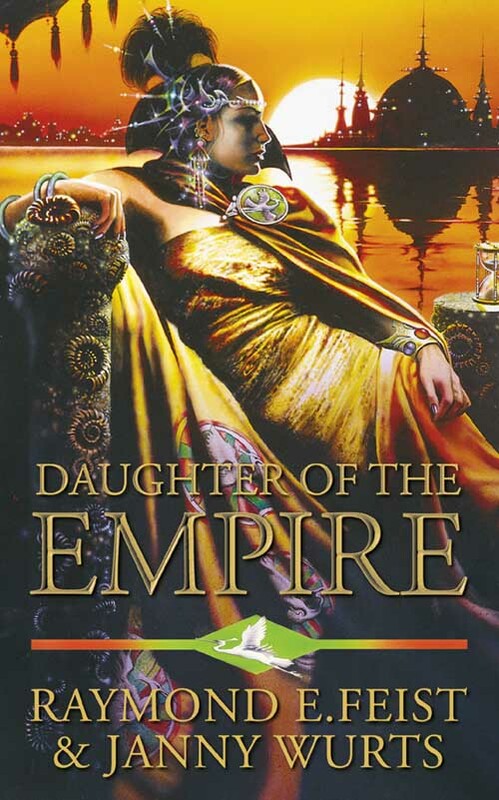 My only exposure to Janny’s work to date is her Empire series, which is a part of Raymond E. Feist’s entire Midkemian setting, and was co-written with him. I wasn’t actually even aware that she had written something else and was a noted writer in her own right, until fairly recently (about a year or so). Seeing an entire shelf-row in a bookstore filled to overflowing with her books made me reminisce about the Empire trilogy and how much I enjoyed that particular series. Mara of the Acoma is one of my favourite female characters of all time, and her journey from being the daughter of the Empire to the Mistress of the Empire is endlessly fascinating. Sure, some credit does to go to Raymond E. Feist as well, but Janny was still very instrumental in the entire process of those books, which is why she’s another one of my favourite writers. I actually bought the first three books in her Wars of Light and Shadow series the other day, and am looking forward to giving those books a whirl as well. 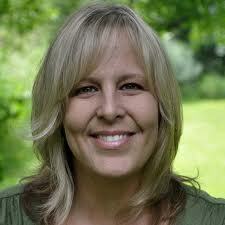 And finally we have the equally prolific Juliet E. McKenna. I was first introduced to her writing last year, with her Warhammer 40,000 short story Fear Itself, which was one of the best entries in the Fear The Alien anthology. Other than her story and 2-3 others, the anthology was rather dreary and boring, so Fear Itself stood out even more. Since she hadn’t done anything else in the setting, I was curious to read more of her work, and I finally got the chance last month, when I read her first Hadrumal Crisis novel, Dangerous Waters. The novel follows on from a long series, which I haven’t read, and so the fact that Juliet made the book easily approachable and dropped enough hints as to what had come before, I had a grand old time with the book. My review of it will be along later this evening in fact, but to give you a headsup, I’ll be all praise for her. 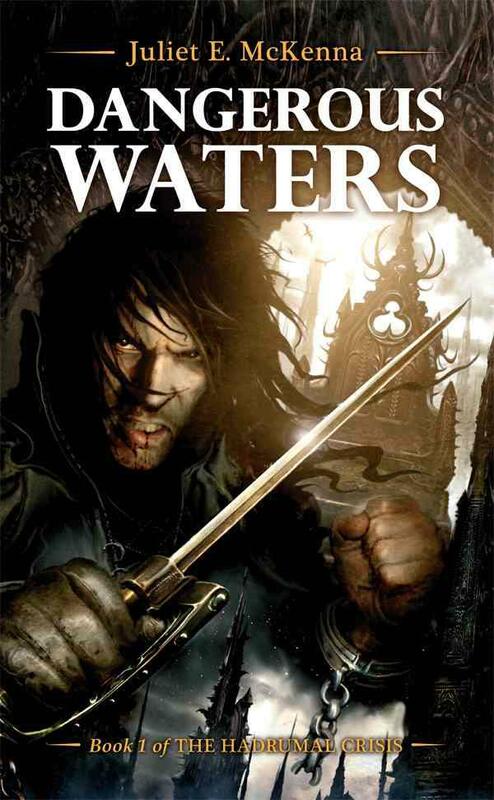 Its always nice when you expect a certain book to be a good one, and it turns out to be pretty good, as in the case of Dangerous Waters. Reading that novel makes me want to read the sequel as well Darkening Skies, and the only thing tripping me up on that is the fact that these are bigger novels than the ones I’m used to, so its not an easy decision to make, given the rest of my commitments. 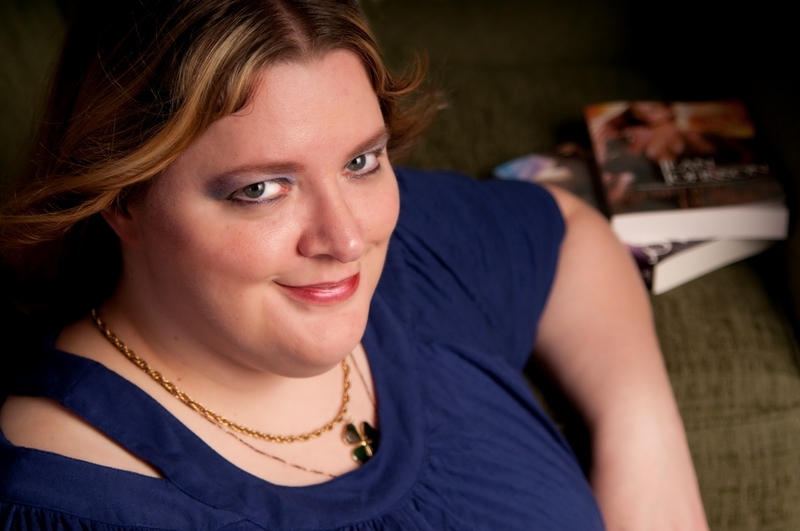 Nevertheless, she is certainly an author I can recommend, especially when you consider that she is (to my knowledge) one of only three women who have written within either Warhammer setting! So that’s all that I had for this time. The second installment of this mega-post will look at some of my favourite female characters in SFF, which is going to be a really fun list to put together, I can tell you that! Feel free to share your own favourite female authors and their works in the comments. 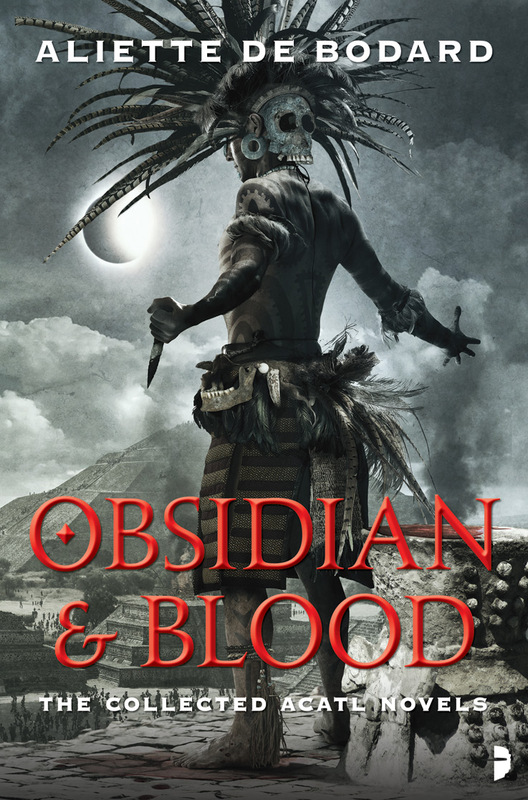 Feel free as well to check out my “51 Most Anticipated Releases of 2013” and “Top 25 Series To Read In 2013” lists and offer some commentary in that regard. A number of these authors are part of these challenges, and both lists are my way of broadening my horizons in terms of what I read. Posted on June 14, 2013, in 2012 Reading Challenge, 2013 Reading Challenge, Book Lists, Challenges, Editorial, Publishing & Marketing and tagged 2012 Reading Challenge, 2013 Reading Challenge, A Soldier's Duty, Alchemist of Souls, Aliette de Bodard, Amanda Carlson, Angry Robot, Angry Robot Books, Animorphs, Anne Lyle, Between Two Thorns, Black Library, Blood and Feathers, Book Lists, Brimstone Angels, Challenges, Charlotte Bronte, Cold Magic, Dangerous Waters, Daughter of the Empire, DAW Books, Dragonlance Chronicles, Dragons of Autumn Twilight, Editorial, Elizabeth Gaskell, Emilie & The Hollow World, Emma Newman, Enid Blyton, Erin M. Evans, Fantasy, Female Authors, Full Blooded, Gemsigns, Hadrumal Crisis novel, Heir of Night, Helen Lowe, Jane Eyre, Janny Wurts, Jean Johnson, Jo Fletcher Books, Julianna Scott, Juliet E. McKenna, K. A. Applegate, Kate Elliott, Katy Stauber, Literature, Lou Morgan, Margaret Weis, Marketing, Marsheila Rockwell, Martha Wells, Miserere, Night Shade Books, North & South, Obsidian & Blood, Orbit Books, Penguin Books, Publishing, Publishing & Marketing, Sarah Cawkwell, Science Fiction, Self-published, Skein of Shadows, Solaris Books, Spin The Sky, Spiritwalker, Stephanie Saulter, Strange Chemistry, Teresa Frohock, The Famous Five, The Gildar Rift, The Holders, Theirs Not To Reason Why, Urban Fantasy, Wizards of the Coast, Women in SFF. Bookmark the permalink. 20 Comments. Wow, that’s quite the list, and it’s strange, but looking through I realized a good 3/4 of my reading this last year or so has been male writers – in SFF, anyway. Otherwise, the breakdown might be more even. I like hard science fiction, space opera, and fantasy epics, and yeah those sub-genres do tend to be male-dominated, although space opera has been more even-handed. 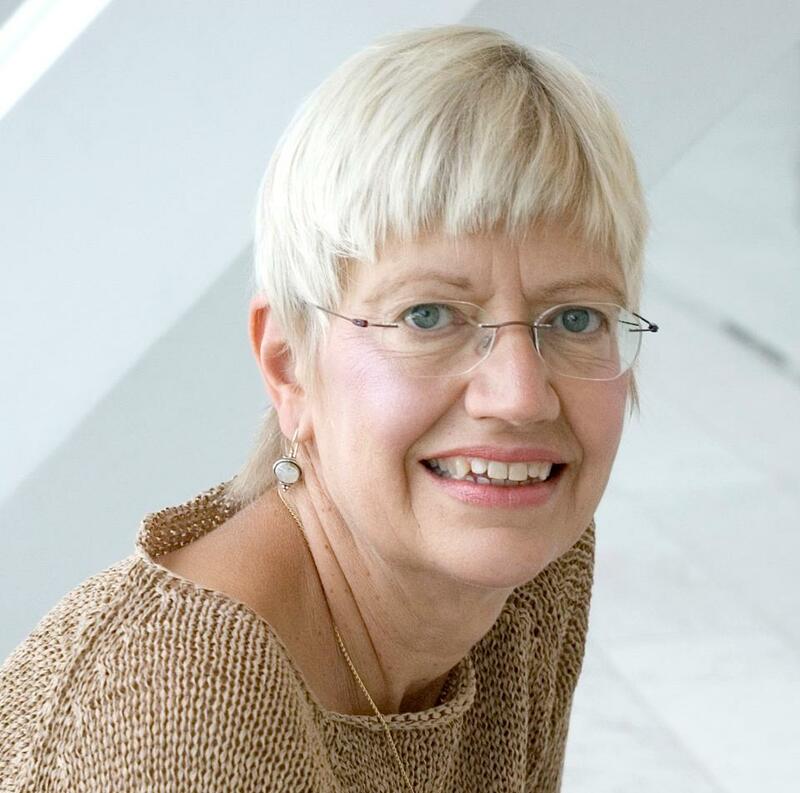 Elizabeth Moon, Lois McMaster Bujold, C.J. Cherryh, Ursula K. Le Guin, Sharon Lee, and Julian May are some of my favorites. And Octavia Butler, Madeleine L’Engle, and Robin Hobb, how could I forget Robin Hobb? Georgette Heyer is also an amazing writer in the comedy of manners genre – if you like Elizabeth Gaskell, you’d probably love her stuff. So it’s maybe not as male dominated as I thought, and I’m a bit behind on reading debut authors, which seem (at least to me) to have a much higher proportion of women writers. But you are right in that when the big names come up in adult SFF (I think women actually dominate the YA SFF scene right now), the names that are waved around everywhere are usually male, and female writers tend to be spread more by word of mouth, or fall into mid-list by default. I *do* have to say I’m not overly partial to reading books by women simply because they’re by women. For me, that’s like reading books for race. I don’t honestly pay that much attention to it, I’m after a good story. And if that’s in a book by a woman or a man, well that’s where I’m going. But it is nice to see more women writing in and getting published in these genres. SFWA stuff aside, we have been and are slowly but surely getting there. And more publicity is great, so thanks for putting together this list! I’ve read too few of these authors, but I’m piling high my to-read list. So many of these books sound great! All great points, Holly, and thanks for the comments! I was the same last year right around this time. A friend, who is also a reviewer, pointed out to me that my reviews so far had been pretty much 90% men or so. It was shocking to me. I realised that subconsciously, just because I was reading so much Warhammer stuff, and little outside of it, that I had backed myself into a corner and I was reading men, men, and more men. And that I was by and large sticking to authors I had already read: Dan Abnett, Graham McNeill, Kevin J. Anderson, Paul S. Kemp, Michael J. Sullivan and so on. So it was a very conscious decision on my part to reduce that parity. I made an effort to explore more and read more than just, say, 1 book a month at best, by a female author. This also allowed me to take chances with my reading by dipping my toes into genres I was largely unfamiliar with, as I pointed out in the article. And its worked out rather well so far, if I do say so myself. I am sure that the parity in my reading is still there, but I can now say that I truly don’t focus on the gender so much. Whether a book is written by a man or a woman, I give them equal chances to impress me. It also helps that I follow a lot of female writers on social media and I have discovered that they are generally more prone to reader outreach than men are. They are much more responsive. Comics is heavily skewed since there are so, so few female writers there, so the imbalance there is still great for me. With regards to the debut works and so on, I think Strange Chemistry is by far the most representative of the shift that we are seeing. They have like only 2 or 3 male authors on their publishing list, compared to something like 15 or so women. I started reading SC titles because they are an imprint of AR and I totally love AR, so that was pretty automatic as far as reading more women authors goes. Wow, yeah I can see coming from Warhammer how it could get a little skewed. The tie-ins I read are mostly Star Wars, and up until a few years ago that had a really wide gap, too, although Christie Golden, Karen Miller, and Karen Traviss have come in lately with some seriously awesome books there. I think it’s awesome that you not only saw that, but made the effort to go search out more authors. It’s pretty easy to get into a rut with one genre or whatnot. I’m trying to branch out into stuff I normally wouldn’t pick up at first glance, too, and it’s really refreshing! Strange Chemistry – I’ve been hearing a lot about them, I’ll have to look at what they’ve got going on. If you like Michael J. Sullivan, you’d probably like Lindsay Buroker’s The Emperor’s Edge. Similar feel with heist-driven high fantasy, but steampunky, too. 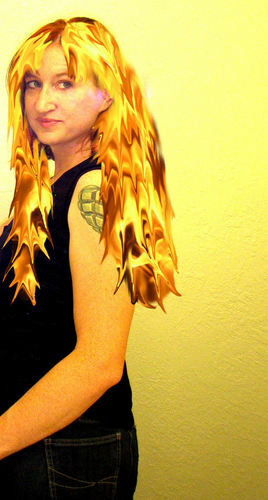 Christie Golden did Rise of the Horde for WarCraft if I’m not mistaken. That was an ace novel. Loved it. Thanks for all the suggestions! You’ve named a good set here, Abhinav. I fully intend to read some Linda Nagata and Elizabeth Bear this year 😀 In fact I bought Elizabeth’s All The Windwracked Stars audiobook last week. Looking forward to that and Range of Ghosts! Lois Bujold… Elizabeth Moon… Seanan McGuire… I grew up a voracious reader but don’t end up reading paper books often anymore. These three are my go-to. 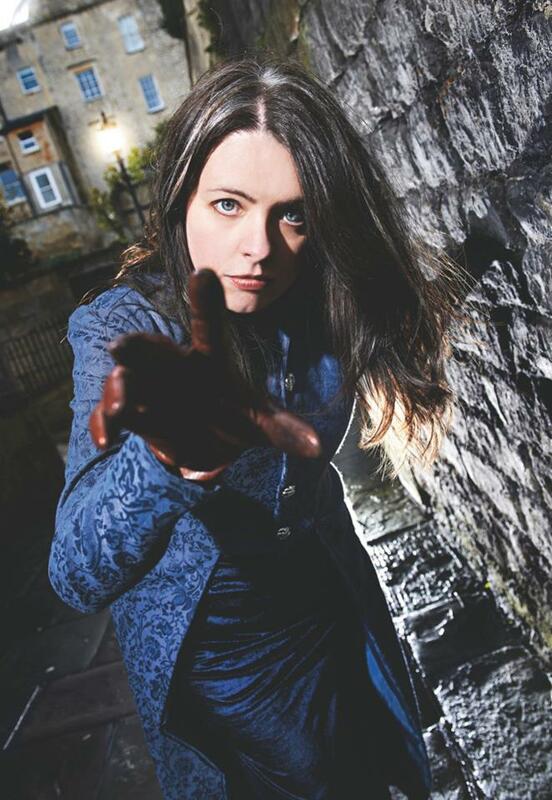 And I would also add Rowena Cory Daniells, particularly her Outcast Chronicles. As I mentioned in my 25 Series post, I’m reading her first book in the series later this year. That’s a great list, Abhinav, and cool post. I’ve read quite a few of these authors, and they were all good reads. I will have to check out the others you’ve listed. Looking back at my reading so far this year, it seems to be rather heavily male author oriented, so I’ll have to change that up a bit. I’ll throw out a few names that I haven’t seen mentioned here, but I’ve enjoyed reading: Cherie Priest, Naomi Novik, and Jennifer Roberson. And enthusiastically echo some of the other commenters’ suggestions of Hobb, Bujold, Cherryh, Norton, May, Moon, Butler, L’Engle, Jemison, Bear and McGuire/Grant. And of course, Ms. Le Guin. I’m sure I’m forgetting a whole bunch of authors too. I’ve been meaning to read (Oh look, he’s sounding like such a broken record!) 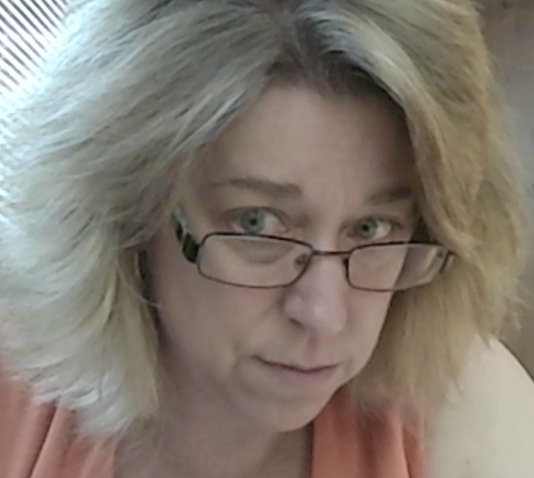 Cherie Priest for a while now, but things don’t quite seem to line-up for that. There’s always something more immediate that I want to read. Let’s hope I get the chance to read one of steampunk novels before the year’s out. I’m definitely reading some Hobb later this year. Her Farseer Trilogy is on my “25 Series To Read In 2013” reading challenge. The goal for that is to read the first books in the series I listed. Bujold and Cherryh’s names come up quite often in recommendation lists as well, so I’ve put them on a rough longlist of authors I want to read. Elizabeth Bear and Elizabeth Moon are on the list as well. In fact, I bought the audiobook for Bear’s first Edda of Burdens novel, All The Windwracked Stars. Will start on that quite soon. Me. Le Guin would have been on the list as well, but when I was making it, I completely forgot about her, to my great shame. Her EarthSea novels, which I read (the trilogy) in ninth grade, was just wonderful. Too bad that the live-action TV series adaptation was so terrible!